UPSC Topper Strategy for Psychology Optional by Ms. Shena Aggarwal (Rank-1) | IAS EXAM PORTAL - India's Largest Community for UPSC Exam Aspirants. Psychology is widely preferred as an optional subject for civil services examination. The usual reasons for the same include- it is an easy subject, it is a safe subject, it is considered a scoring subject etc. I would advice someone to chose this subject not for these secondary reasons, but if you develop an interest in the subject and wish to know about it more. This is the most important thing because only if you enjoy studying it, then you can give your best efforts. The subject has 2 papers- paper 1 deals with the theoretical aspects and basic principles of psychology, while paper 2 talks about applied psychology and its use in various fields. After knowing this, the first step one should take is open the syllabus and go through it thoroughly. 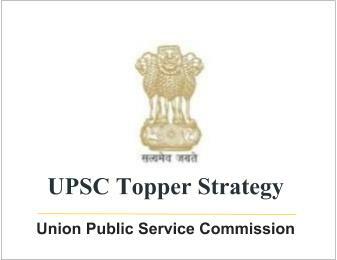 UPSC tends to limit itself to the syllabus and so should us while preparing for the exam. Also, knowledge of the syllabus gives us an idea of what is expected of us, and how much we have to cover. There is no need to study all of these books. I would suggest all to read the NCERT and any one of the other books for paper 1. Try to read NCERT books cover to cover, these would help to develop an understanding of all the basic concepts and would cover most of the topics in the syllabus. After that, one can also do certain topics from one of the other books- usually Baron or Ciccarelli. The book on Applied Psychology is a concise text by Smarak Swain, especially for the purpose of paper 2 . It basically covers all the topics. Apart from these text books, notes of MukulPathak sir are almost read by everyone who takes up this subject and are usually considered quite comprehensive. So one may either join coaching classes of MukulPathak or get this material from the market or some friend. Whether or not to join coaching is a very personal decision one has to take- consider various factors like availability of time, your study schedule and most importantly your method of studying. Some people can grasp better in a classroom setting in the presence of a teacher, while some prefer to study by themselves from the books. So try to identify your individual style and go according to that. In my opinion, coaching can only provide guidance and provide one a competitive atmosphere to study. The real effort has to be made by you only. Ideally, one should start the preparation around 1 year before the prelims, and complete the syllabus by end of December. Then one can start with revision of the subject right after prelims, and complete it in time for mains. Go through the syllabus topic wise, and try to complete one unit at a time. Refer to the standard books and notes and try to develop a basic understanding initially. Don’t try to mug up the figures or names, focus should be on the concepts. After completing basic psychology for paper 1, start with applied psychology for paper 2.Try to develop a timeline and decide how you aim to complete your syllabus. I used to prepare broad frame, and then develop a monthly and daily schedule and would try to stick to that. It helps to maintain the focus and doesn’t allow any deviation from the task at hand. One can also make use of various articles in the newspapers and magazines or the internet to gather more material, but this should come at a later stage. For many topics of paper 2 like gender psychology, military psychology, terrorist psychology, environmental psychology, work psychology, education psychology, social psychology etc, try to use contemporary examples from the Indian context to make the answers more relevant. This will highly enhance the value of the answer and fetch much more marks. It is advisable to revise the same material multiple times. You can also make concise notes in your own language to help in easy revision later. Try to develop the gist of every topic in the form of a flowchart or diagram. This will save time later and help in making the answers more effective. Practice answer writing to ensure that you can convey your answers in an effective manner. Every good answer has two components- content and presentation. First read the question thoroughly to understand the demands of the question- what is it asking about, whether the details of any theory, or its comparative advantages and disadvantages with another, or if it is asking about the application part. Just jot down the points you would want to cover in a few seconds and only then start writing. This will make sure that you don’t lose track of the question and cover all the points asked. Most of the people do well on the content part but lack in presentation. Always try to put yourself in the examiner’s shoes and then you’ll realise what kind of answer you should write- it should be crisp and clear, in a legible writing, and preferably with some diagrams or flowcharts to make the same answer more effective. Try to highlight the important points and avoid repetition. Thus effective answer writing is an art which can be only mastered by regular practice. Try to make such mind maps and diagrams while studying and recapitulating the information. One can either join the test series of any coaching institute for the same or practice writing answers at home. Go through the previous year question papers and test your knowledge and practice writing answers to those. It would be better if you can get these checked by a teacher so that you’ll get a better idea of your mistakes and further improvements that can be made. I had joined the test series at Vajiram and Lufe institutes. This helps to analyse one’s answers and improve them the next time.